Hello! 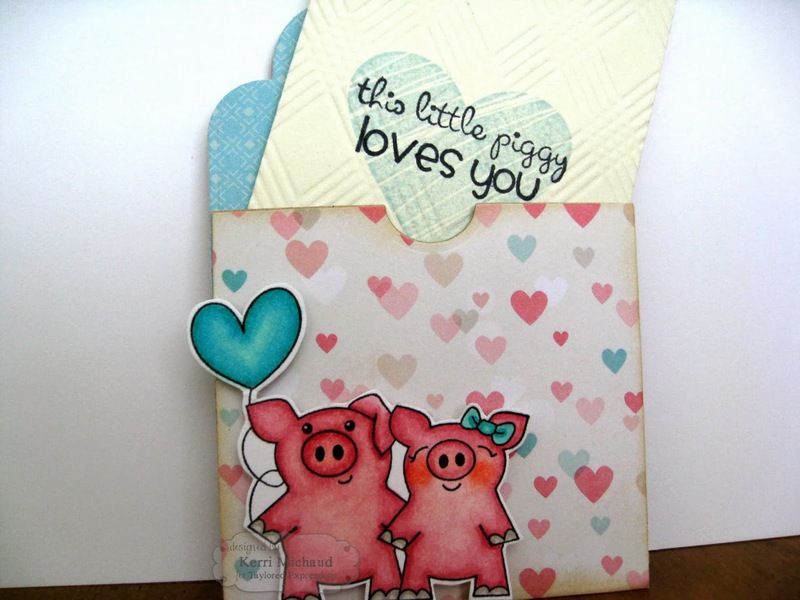 I wanted to share a Valentine I made using some fabulous Taylored Expressions products! 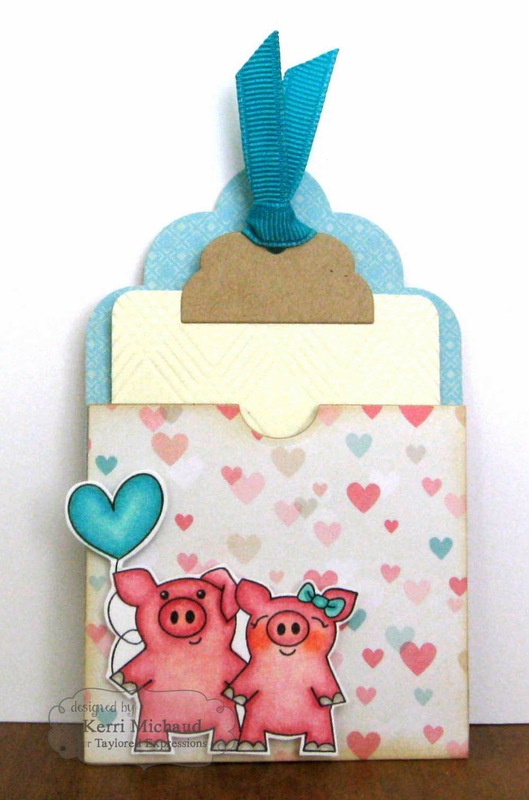 These adorable piggies are from the TE set Love Makes the World Go Round. I stamped them with Memento Tuxedo Black Ink and colored with Copics. 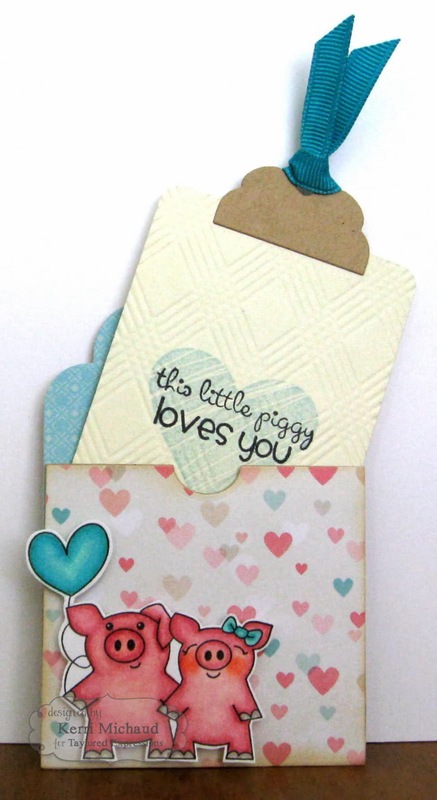 The card base was cut with the Tag Pocket Die. I used one of the Pockets and Pages 3x4 Essentials Dies to cut my insert. I stamped the sentiment from Love Makes the World Go Round and the heart from In My Heart on the insert and added the tab to pull it out using the Keeping Tabs Die. The dp and ribbon are from the January Key Ingredients Kit. So much fun! I can't wait to make more of these:) Thanks for stopping by and have a terrific Tuesday! Adorable, Kerri! Love how you used the tab die!